You have lots of choices when it comes to choosing a parking solutions partner, from national parking providers that work on volume to small local companies who have tailored knowledge of your specific issues. You may lean toward big names that offer blanket solutions across the country, but these providers don’t offer the same benefits a local company can provide. Consider these compelling reasons to pick a local parking solutions partner for your parking needs. A Local Parking Solutions Partner Knows the Answers. Parking services aren’t a one-size-fits-all product. You need services that are carefully tailored to your location and market. A parking service provider based in Atlanta will offer knowledgeable suggestions based on the traffic flow on your side of town or the projected influx of tourists for major city events. They will understand the complexities of maintaining a steady traffic flow when guests are exiting into rush hour and the challenges of managing the crowds for downtown festivals. A national provider who isn’t based in your area won’t have the intimate knowledge that you need to truly excel with transportation and parking management services. Go local for efficient problem-solving and extreme tailoring that’s made to suit your needs. Managing event and facility parking is a complex task. 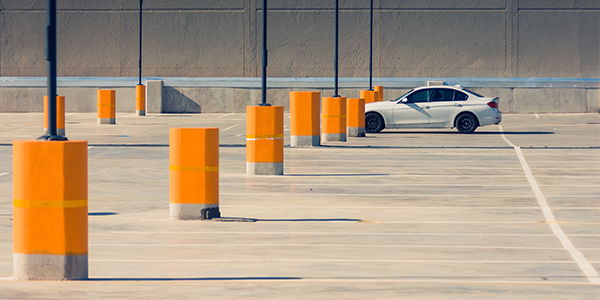 If you’re working with a long-term parking service provider, it could take several small adjustments over time to get the traffic flow and parking management just right. Special events parking takes an on-the-fly approach to problem solving that will ease your concerns as soon as they pop up and keep things flowing smoothly from beginning to end. No matter what your parking needs, you want to contract with a service provider who can meet them with a personal touch. You don’t want to reach out to a call center when you have a problem. Choose a local parking solutions provider that you can meet with face-to-face for personalized services. When it comes to parking solutions, no two customers are exactly alike and it is imperative to make sure you’re working with a company that recognizes this. A local service provider can visit your site or event personally to make sure you’re satisfied. Don’t settle for a boilerplate management plan for your parking lot. Choose a company that can tailor every aspect of your parking service to suit your needs. The best parking service provider is one who handles every aspect of their operations personally. Work with a company that hires, supervises, and pays all their own personnel rather than one who outsources and draws employees through another source. National Parking handles facilities maintenance, custodial tasks, valet personnel, and shuttle drivers. You won’t have to draw from outside sources or work with multiple companies to properly manage, clean, and maintain your lots. You can do it all with a single service provider. If you’re looking for smart, efficient parking solutions in the Atlanta area, contact National Parking. We offer personalized local solutions for valet parking, shuttle transportation, and parking facility management. Give us a call at 678-356-4030 or connect with us online to learn how we can solve your parking issues.